Learning to knit is a lot of fun, and it's not as difficult as you might think. This guide to the basics and beyond has everything you need to get started, whether you've never picked up needles before or just need a refresher. You can learn all of these with one simple project to produce a knit square. You will also need a few basic knitting tools to get started. 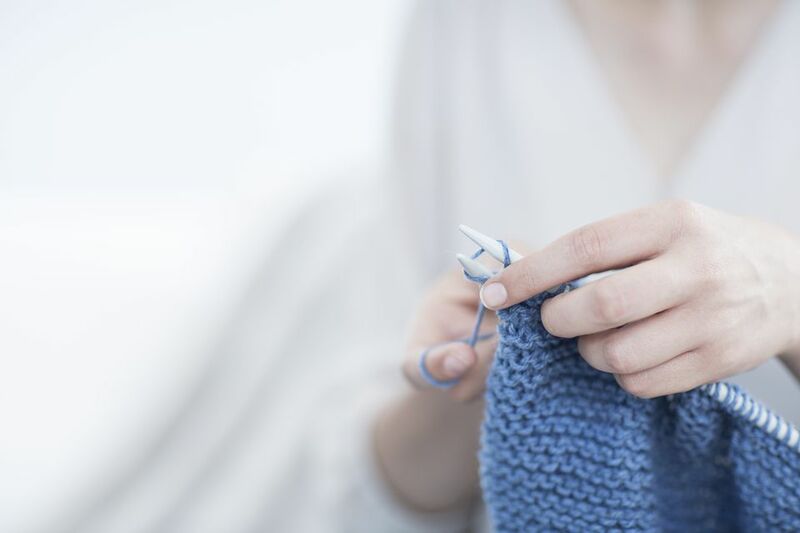 Don't go all out at first, just pick up a pair of needles (U.S. size 6 to 8 is perfect for beginners), a ball of yarn (medium weight is easiest for learning), and a crochet hook or yarn needle. The rest will come later, so save your money until you get into it and have a better idea of what you need (or want). Once you have the basics down, it's time to pick your first project. It's a good idea to start with something small and flat that doesn't require shaping. Scarves are a great place to begin because they're so long that it forces you to really get to know the basic stitches. Also, dishcloths are fun and quick projects that simply require you to knit a flat square. They're both also useful projects and keeping your finished knitwear in sight is a great motivation to keep knitting. Patterns are usually labeled with the knitting skill level to help you choose a good beginner project. Many patterns, even those for beginners, seem to be written in code. You will need to learn to read a pattern and understand common knitting abbreviations. Many knitters enjoy the process of knitting more than these finishing tasks. It's true that they're not a lot of fun, but you cannot enjoy what you've created without them. Learn to love (or at least enjoy) these skills and avoid a stash of unfinished projects. Try not to take on too much at once, but don't be afraid to challenge yourself. Remember, knitting is little more than making a series of loops across a row of stitches. Most patterns are very good about explaining complex or unique techniques and you can always search for the answers. You will also want to learn about proper stitch orientation so you can put the stitches back on your needle correctly if (and when) they fall off. Every knitter before you has probably had the same questions and most are willing to help. Knitting Paradise is a great community to take your questions to. You will also find Ravelry to be an excellent source. It's kind of like a social network for yarn lovers.